The main division of the Qur’an is into chapter (surah) and verse (ayat). The Quran is additionally divided into 30 equal sections, called (plural: ajiza). The divisions of juz’ do not fall evenly along chapter lines. These divisions make it easier to pace the reading over a month’s period, reading a fairly equal amount each day. This is particularly important during the month of Ramadan when it is recommended to complete at least one full reading of the Qur’an from cover to cover. 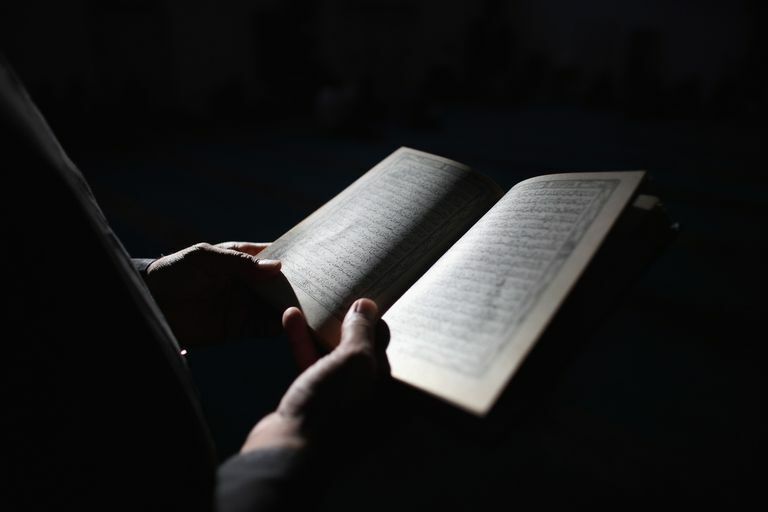 The 26th juz’ of the Quran includes parts of six surahs (chapters) of the holy book, from the beginning of the 46th chapter (Al-Ahqaf 46:1) and continuing to the middle of the 51st chapter (Adh-Dhariyat 51:30). While this juz' contains several complete chapters, the chapters themselves are of medium length, ranging from 18-60 verses each. When Were the Verses Revealed? This section of the Quran is a complicated mixture of early and later revelations, from both before and after the Hijrah to Madinah. Surah Al-Ahqaf, Surah Al-Qaf, and Surah Adh-Dhariyat were revealed when the Muslims were under persecution in Makkah. Surah Qaf and Surah Adh-Dhariyat seem to be the earliest, revealed during the third to fifth years of the Prophet's mission when believers were being treated with disrespect but not yet outright tyranny. The Muslims were being stubbornly rejected, and publicly ridiculed. Surah Al-Ahqaf was revealed shortly after that, in chronological order, during the time of the Makkan boycott of the Muslims. The Quraish tribe in Makkah had blocked all avenues of supply and support to the Muslims, leading to a time of severe stress and suffering for the Prophet and the early Muslims. After the Muslims migrated to Madinah, Surah Muhammad was revealed. This was at a time when the Muslims were physically safe, but the Quraish were not prepared to leave them alone. The revelation had come down to enjoin upon Muslims the requirement to fight and defend themselves, although, at this point, active fighting had not yet begun. Several years later, Surah Al-Fath was revealed just after the truce had been reached with the Quraish. The Treaty of Hudaibiyah was a victory for the Muslims and signaled an end to Makkan persecution. Finally, the verses of Surah Al-Hujurat were revealed at various times, but have been gathered together by theme, following the instructions of the Prophet Muhammad. Most of the guidance in this Surah was given towards the final stage of the Holy Prophet's life in Madinah. This section starts out with warnings to the disbelievers about the errors in their belief and judgment. They were mocking and condemning the Prophet when he was merely confirming previous revelations and calling people to the One True God. They insisted on the traditions of their elders and made excuses for not turning to Allah. They felt superior, answerable to no one, and ridiculed the poor, powerless people who were the first believers in Islam. The Quran condemns this attitude, reminding readers that the Prophet Muhammad was only calling people to good behavior such as caring for parents and feeding the poor. The following section speaks about the need to fight when it comes to defending the Muslim community from persecution. In Makkah, the Muslims endured horrible torture and suffering. After the migration to Madinah, the Muslims for the first time were in a position to defend themselves, militarily if necessary. These verses may seem a bit aggressive and violent, but the troops needed to be rallied to defend the community. Hypocrites are warned about pretending to profess faith, while secretly their hearts are weak and they retreat at the first sign of trouble. They cannot be depended upon to protect the believers. The Quran assures the believers of Allah's help and guidance in their struggle, along with tremendous rewards for their sacrifices. They may have been small in number at the time, and not well-equipped to battle against a mighty army, but they should not show weakness. They should strive with their lives, their possessions, and give willingly to support the cause. With Allah's help, they will triumph. In Surah Al-Fath, which follows, the triumph has indeed come. The title means "Victory" and refers to the Treaty of Hudaibiyah which ended the fighting between the Muslims and the disbelievers of Makkah. There are a few words of condemnation for the hypocrites who stayed behind during previous battles, fearing that the Muslims would not be triumphant. On the contrary, the Muslims won while exercising self-restraint, establishing peace without taking vengeance on those who previously had hurt them. The next chapter in this section reminds Muslims of proper manners and etiquette when dealing with each other in an honorable way. This was important for continued peace in the growing city of Madinah. Instructions include: lowering your voice when speaking; being patient; investigating the truth when you hear a rumor; making peace during a quarrel; refraining from backbiting, gossiping, or calling each other by wicked nicknames; and resisting the urge to spy on one another. 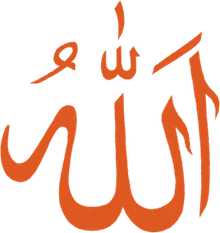 This section draws to a close with two Surahs which return to the theme of the Hereafter, reminding believers of what is to come in the next life. Readers are invited to accept faith in Tawhid, the Oneness of God. Those who refused to believe in the past have faced disastrous punishments in this life, and more importantly in the Hereafter. There are signs, all throughout the natural world, of Allah's wondrous generosity and bounty. There are also reminders from previous prophets and the people who rejected faith before us. Surah Qaf, the second-to-last chapter in this section, had a special place in the life of the Prophet Muhammad. He used to recite it frequently during Friday sermons and during the early morning prayers. What Are Some Select Quotations from Juz' 25 of the Quran? What Should You Know About Juz' 28 of the Qur'an?